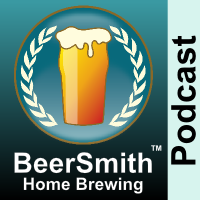 Nathan Smith is a nationally award winning home brewer and frequent guest on the Brewing Network. He joins me this week to discuss the many new hop varieties entering the market. Nathan appeared before on Podcast #50 discussing Saisons and Podcast #17 on Sour beer. He has a brewing web site at Destroy.net/brewing and you can also follow him on twitter @nathanhomebrew. Also check out the new DVDs John Palmer and I filmed – How to Brew with Malt Extract and How to Brew All Grain are both available now and you can also find my BeerSmith software on CD which makes a great gift for Christmas. We start with a discussion of new hop varieties and why they are not all for IPAs! Nathan shares the idea and genesis of many of the new hops, as well as why we’re seeing so many new ones enter the market. Thanks to Nathan Smith for appearing on the show and also to you for listening! My computer crashed that had Beersmith on it. Is it possible to re download?